It started with Goldfish crackers. While the details are fuzzy, I remember that it was sometime in October and that on this particular day it was raining outside—indoor recess. Stuck to the board was Wilbur—a brown (felt) bear the first-grade class dressed each day with weather-appropriate clothes. Sporting a yellow rain slicker, boots and an umbrella under a (felt) gray cloud and a handful of raindrops, there was no question as to the conditions outside. The conditions inside most likely included a fascinating discussion about shapes, colors and the pros and cons of multinationals and globalization in a modern society. That’s not important. What was important was the seating chart, for the stars were aligned—or grossly misinformed—and my desk at the time was conveniently located in a block of four with two of my best friends, both boys and both my neighbors. Yes, they participated in the deterioration of Barbie’s reputation. For the sake of their self-proclaimed innocence, let’s call them Mike and Danny. Danny was my best, best friend, but I kept Mike along for the ride—even marrying him once or twice in his basement and often skating sweaty hand in sweaty hand to couple’s skate at school skating parties in later years. He served a role. With the polygamous nature of our playgroup, I think Mike knew and served this role well. As for the day in question, we were doing some sort of math exercise that involved using Goldfish crackers as counting pieces. The details aren’t important, but what is important to note is that Danny had to leave for weekly speech therapy. His Goldfish crackers, unmanned and vulnerable, would not be joining him. I was hungry—or I just wanted them, again the details are fuzzy—and the Goldfish were consumed. Mike wanted in. I obliged. Two for me, one for Mike. Two for me, one for Mike. Two for me, none for Mike, as our mid-math snack was cut short by the intrusive presence of the authoritative adult that has instigated this cracker caper in the first place. Apparently our behavior was being frowned upon and warranted a lecture. Mike cried like a kindergarten baby, blubbering out promises to give our lisping buddy all the Halloween candy he anticipated hoarding in the coming days. I was stoic, annoyed with both the interruption and the insinuation that I had done something wrong. I knew I should feel bad. The reaction from my teacher, the sobbing fool next to me, and the quiet hush that had fallen over the class were telling me as much. But it was Danny. It was crackers. So while the teacher was lecturing the class on what was most likely the importance of sharing and stealing, I was building a solid argument up in my head. I wasn’t a criminal. I knew right from wrong, good from bad, snacking from stealing. There were countless times before and would be countless times in the future when Danny would take (and eat) things that were mine, when he would participate in some plot against my scheduled script of play, when he would be told to “get off my property” or kick me out of his tree fort. I failed to see the importance of a handful of crackers that could be easily replaced and forgotten. It was Danny. It was crackers. Emboldened by my rationalizations and oblivious to danger, I looked left. I looked right. I looked down at the remaining fish on Danny’s desk, baiting me as they were with their innocent smiles and bright orange glow. This post is in response to this week’s Red Dress Club RemembeRED prompt to “Mine your memories and write about the earliest grade you can recall.” I’m sure I have others, but this one popped up first. It’s time for show and tell. What’s the earliest memory you have of elementary school? This entry was posted in Uncategorized and tagged childhood, food, friends, Red Dress Club, school. Bookmark the permalink. Ha! I enjoyed this! That was pretty crazy your teacher considered it stealing when even she knew Danny wasn’t coming back. I wouldn’t have felt like I was doing anything wrong either. What is it about goldfish crackers that are so damn addictive? I swear, I buy a bag of these for my son for his snack and anytime the bag is open…they barely last a day. They taste very similar to cheez-its, but way more addictive and certainly not the same cheezy goodness. We have an unopened bag in the pantry thats been staring me down for a few days. I’ve been very strong so far, but I’m not sure how long I’ll last. I don’t know why, but the first thing that popped into my head was my (former) best friend mocking me in the girls’ bathroom because my parents were getting a divorce when I was 10. Some background: I went to Catholic school even though I’m not Catholic, and the one I attended from 1st-5th grade was full of wealthy snotty kids–And of course, I was the poor non-Catholic kid from the “trashy” neighborhood. That happened to me in 4th grade, but I know I have earlier memories. It’s strange how little and apparently “unimportant” stories like this stick with us for all our lives. I don’t have a lot of happy memories of elementary school because I was a mobbing victim back then and very, very unhappy for almost all my school time, even later on. My happy memories lie outside of school, for example when my dad took me to a lake and I caught tadpoles there or helped to collect frogs from the frog fences along the road and carried them over the road to their spawning ground in a pile so they wouldn’t get run over. Ah, this post brought back memories for me. I, too, “married” several of my boy friends in elementary school. The one I liked the most could have been mistaken for my brother (sounds super creepy now). I remember the hot pink plastic bracelet he gave me and skating at the “roller rink.” My earliest memories involve gymnastics as I was practicing at the gym 6 days a week when I was like 5 or 6 years old. We had awesome sleepover parties there with homemade forts, tons of candy and cake (and my god, the soda) and scary movies that 10 year olds shouldn’t be allowed to watch. Good times! You were such a saucy little thing! I love that your kindergarten logic was smarter than your teacher’s: it’s not stealing, it’s snacking! It’s Danny, it’s crackers. I also love that you kept a boy in reserve, just in case. I love the thread of Danny and the goldfish. You described your thoughts, feelings and reactions so clearly! This post and the one from the Kitchen Witch are the happy antidotes to mine. Thank goodness for these because I was starting to get a little depressed! I naively assumed everyone’s stories would be innocent and fun. I love this story and how sassy you were. I would have had to fast forward to middle school for a more pleasant story, my early school days were not fun. Maybe if I’d had backup like Danny and Mike things would have been different. Did you mean “role” in the first purple line? and i am an idiot…did not realize there was moderation…. You are forgiven, as I am a HUGE Wing nut all the way! Bring on the octopi! I love the mention of your polygamous group and how Mike knew his role in the relationship. Also the division of Goldfish was so humorous – you can just see little you dividing them up (unfairly, of course) and Mike just totally accepting your math. I loved how you wrote this with the bigger words and phrases, but still were able to sound like a kid. I thought this was very funny! I also loved how Mike served his purpose! Ha! Knowing your role wins 90% of life’s battles. Great story, good construct. I like your space. I like how even back then you were cool under pressure. I have tried really, really hard to leave con-crit on every TRDC link-up I’ve read, but Logyexpress spotted what might have been the only tidbit, and it’s already been fixed. I got nuttin’. Great post, well written! My favorite part was how you felt completely justified in what you were doing, formulating your defense while your teacher lectured! 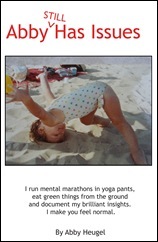 I love the attitude and the big words, it’s a little unlikely for a little girl and shows your adult perspective on it. The line “both boys and both my neighbors.” confused me a little, it sounds like there are four kids. Is there a way to write it that makes it more clear that the two boys are also your neighbors? I really liked “I knew I should feel bad. The reaction from my teacher, the sobbing fool next to me, and the quiet hush that had fallen over the class were telling me as much.” It perfectly shows that defiant, self-aware attitude. Haha! That is hilarious! That teacher was crazy. Why would she put a pile of goldfish crackers on Danny’s desk if he wasn’t going to be there to join in anyway? That is just asking for trouble. Craziness. i totally agree with Matty, that part ws my favorite!!! I loved tis, even 8 months later….I adored it. Your writing takes me right back to another time, it’s brilliant!